Tonight we are going to Thuy/Duy's house for a BBQ dinner to inaugurate their new patio and new grill. 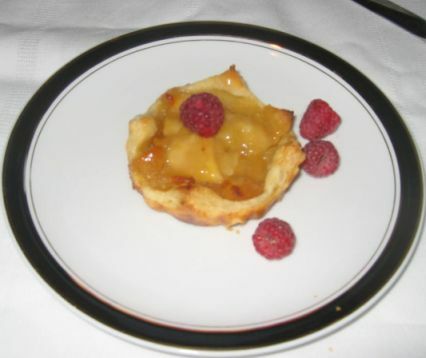 As usual I volunteered to make a few desserts for the the group. 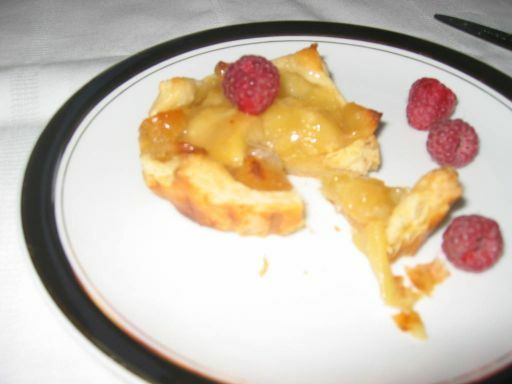 I am raking my brain to figure out what I should bake tonight and in the end I decided to make the famous Apple Tartlet from Poilâne, a raspberry tartlet, and a Nutella tart for the evening. Lionel Poilâne is the best known baker in Paris and the man who, perhaps more than any other, made French traditional bread making honorable and artistic again. Poilâne sold about 15,000 loaves a day but he never mass-produced it, sticking to the art of traditional way of making bread as the rest of the country is trying to industrialize the bread industry. Each loaf is handcrafted by a baker trained with Poilâne techniques. Poilâne's trademark is the two kilogram sourdough country bread loaf (Miche or Pain Poilâne), his rustic tarte aux pommes and his famously immoral butter cookies, Punitons ("punishments"), which I hope to bake some soon. 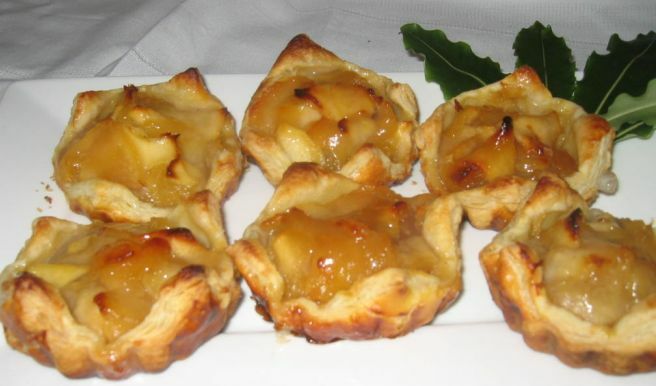 The tartlets are best eaten warm with a good doll up of whipped cream or crème fraîche. 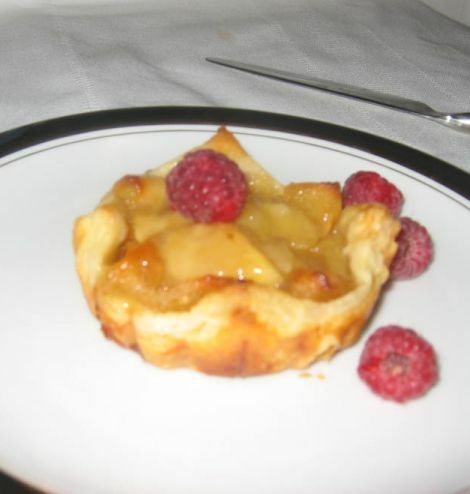 You will be amazed how this tart taste like! 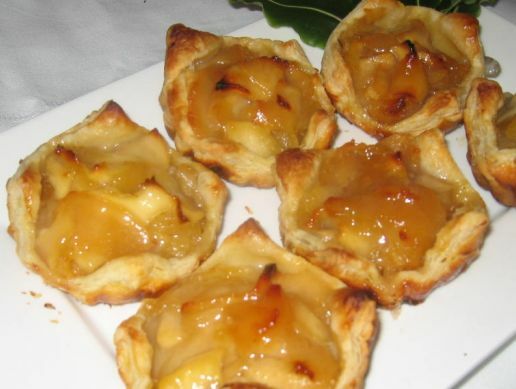 the crunchiness of the puff pastry and the perfectly balance taste of the apples is to die for. 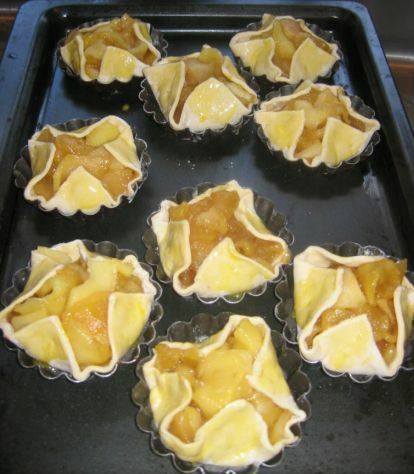 It is no wonder that Poilâne sell these tarts like hot cakes. 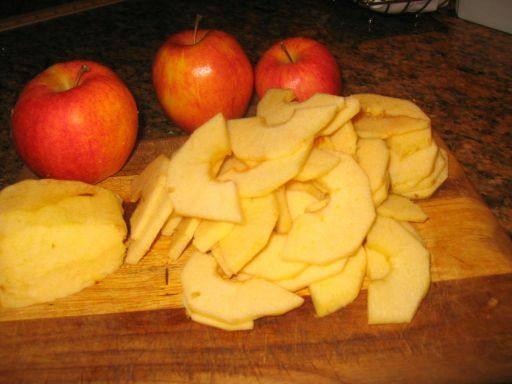 Apples are cut in half, cored and sliced into 1/8 inches. 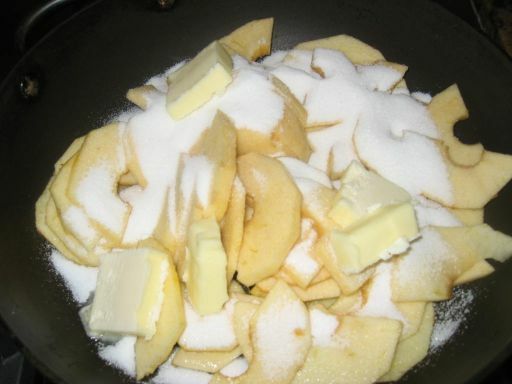 The apples slices are then cooked with sugar, butter, and a pinch of salt. 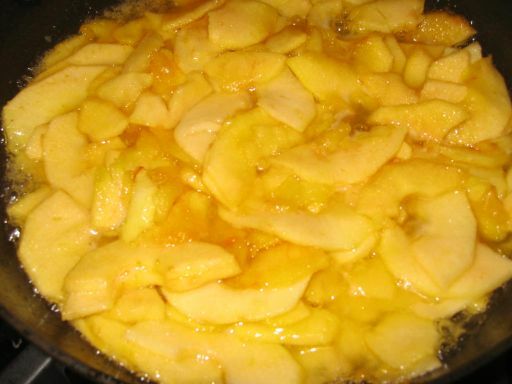 It takes about 10 minutes for the apples to be cooked. 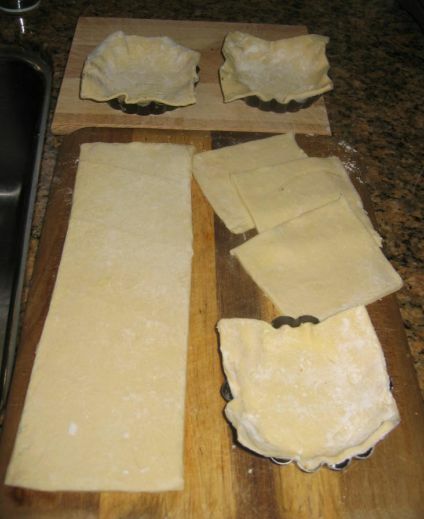 Puff pastry are cut into small square to fit inside a tart mold. 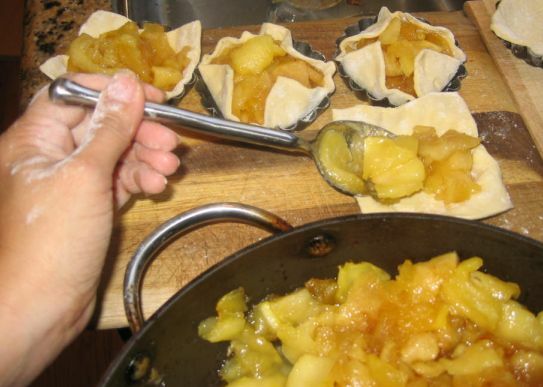 Here I am filling the cooked apples into the puff pastry. Ready to go into the oven for about 25 to 30 minutes. 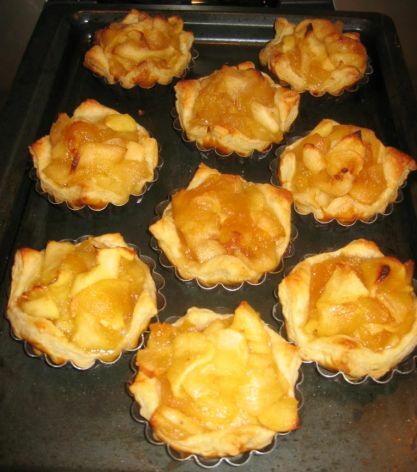 Freshly out of the oven and ready to be served.